Tuesday, February 27, 2018 at 6:00 PM in the Community Center. All 2018 members are invited and encouraged to bring a prospective member. Keep your Chamber working for you. 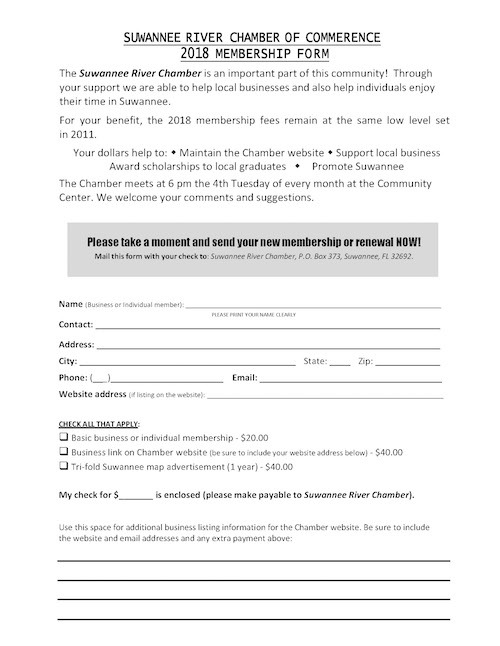 Individual memberships are $20 each and an application is attached. Please make plans to join us on the February 27 and help us spread the word by passing this on to your friends in Suwannee.